M 1592. SAILOR'S ROPEWORK BAG. A lovely example of this ingenious craft that was often engaged in by sailors during their off time. 20" overall length x 6 1/2" wide. Done in an array of intricate knots and macrame work. 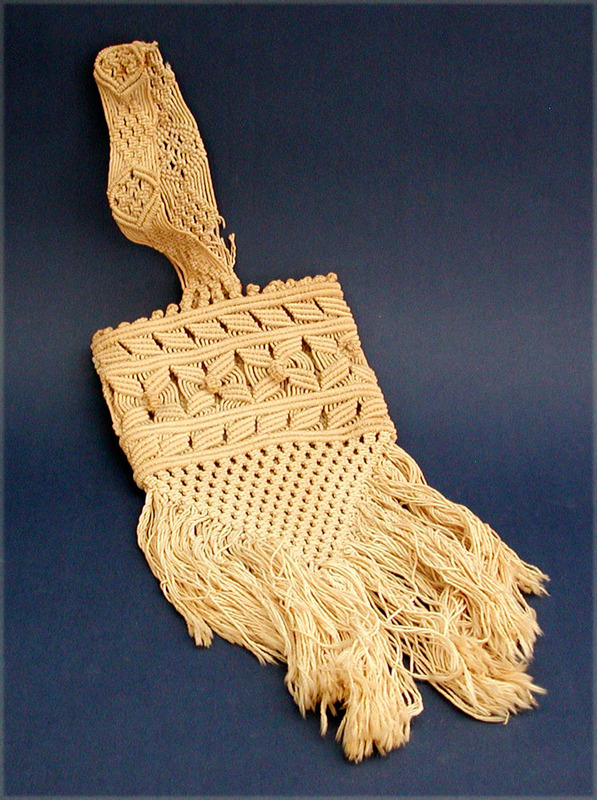 Bottom decorated with long flowing fringe. Condition excellent. Late 19th to early 20th century.